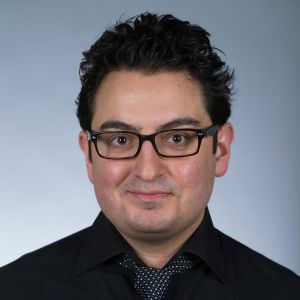 Dr. Ozcan is a postdoctoral research associate at the Institute for Transportation. He is working on projects related to traffic research and autonomous driving. He earned his bachelor’s degree in electrical and electronics engineering with high honors from Bilkent University in Ankara, Turkey, in 2011. He completed his doctorate at Syracuse University in Syracuse, New York, in May 2017. Between June and December 2015, he was a research intern with the Exploratory Computer Vision Group at IBM’s T. J. Watson Research Center. His research interests include video/image processing, computer vision, embedded systems, machine learning, video event detection, object detection, and image understanding. K. Ozcan, A. Mahabalagiri, and S. Velipasalar. 2014. Automatic Fall Detection and Activity Classication by a Wearable Camera. In Distributed Embedded Smart Cameras. Christophe Bobda and Senem Velipasalar, Eds., pp. 151–172. Springer, New York, NY. Ozcan, K. and S. Velipasalar. 2016. Wearable Camera- and Accelerometer-Based Fall Detection on Portable Devices. IEEE Embedded Systems Letters. Vol. 8, No. 1, pp. 6–9. K. Ozcan, A. K. Mahabalagiri, M. Casares, and S. Velipasalar. 2013. Automatic Fall Detection and Activity Classication by a Wearable Embedded Smart Camera. IEEE Journal on Emerging and Selected Topics in Circuits and Systems. Vol. 3, No. 2, pp. 125–136. K. Ozcan, S. Velipasalar, and P. K. Varshney. 2017. Autonomous Fall Detection with Wearable Cameras by using an Ali-Silvey Distance Measure for Threshold Computation. IEEE Transactions on Human-Machine Systems. Vol. 47, No. 1, pp. 31–39. M. Cornacchia, K. Ozcan, Y. Zheng, and S. Velipasalar. 2017. A Survey on Detection and Classication Using Wearable Sensors. IEEE Sensors Journal. Vol. 17, No. 2, pp. 386–403. Kakillioglu, B., K. Ozcan, and S. Velipasalar. 2016. Doorway Detection for Autonomous Indoor Navigation of Unmanned Vehicles. IEEE International Conference on Image Processing (ICIP), Phoenix, AZ , pp. 3837-3841, Sept. 25–28. Ozcan, K., A. Mahabalagiri and S. Velipasalar. 2015. Autonomous Tracking and Counting of Footsteps by Mobile Phone Cameras. 49th Asilomar Conference on Signals, Systems and Computers, Pacific Grove, CA, pp. 1408-1412, Nov. 8–11. Ozcan, K. and S. Velipasalar. 2015. Robust and Reliable Step Counting by Mobile Phone Cameras. In Proceedings of the 9th International Conference on Distributed Smart Cameras (ICDSC’15). New York, NY, pp. 164–169, Sept. 8–11. Y. Zheng, K. Ozcan, S. Velipasalar, H. Shen, and Q. Qiu. 2014. Energy Efficient Tracking by Dynamic Voltage and Frequency Scaling on Android Smart Phones. In Proceedings of the International Conference on Distributed Smart Cameras (ICDSC ’14). Venezia Mestre, Italy, Nov. 4–7. Mahabalagiri, A. K., K. Ozcan, and S. Velipasalar. 2014. Camera Motion Detection for Mobile Smart Cameras Using Segmented Edge-Based Optical Flow. 11th IEEE International Conference on Advanced Video and Signal Based Surveillance (AVSS). Seoul, South Korea, pp. 271–276, Aug. 26–29. Mahabalagiri, A. K., K. Ozcan, and S. Velipasalar. 2013. A Robust Edge-Based Optical Flow Method For Elderly Activity Classification with Wearable Smart Cameras. Seventh International Conference on Distributed Smart Cameras (ICDSC), Palm Springs, CA, pp. 1–6, Oct. 29–Nov. 1. K. Ozcan, A. K. Mahabalagiri, and S. Velipasalar. 2013. Fall Detection and Activity Classification Using a Wearable Smart Camera. IEEE International Conference Multimedia and Expo (ICME), San Jose, CA., pp.1–6, July 15–19. Casares, M., K. Ozcan, A. Almagambetov, and S. Velipasalar. 2012. Automatic Fall Detection by a Wearable Embedded Smart Camera. Sixth International Conference on Distributed Smart Cameras (ICDSC), Hong Kong, China, pp.1–6, Oct. 30–Nov. 2. Applications:, Android Studio, MATLAB, OpenCV, TensorFlow, Visual Studio, Xcode, Xilinx.